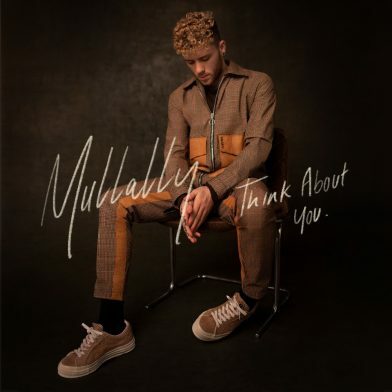 Laying his emotions bare and spotlighting powerful, rasping tones, ‘Think About You’ also sees Mullally draw influence from classic RnB and Soul, to tell the story of a love cherished and lost. Delivered with a tenderness that belies his age, it is the latest in a series of singles that have reinforced his credentials as one of the UK’s most promising breakout acts. A graduate from Access to Music College – whose alumni include Ed Sheeran and Rita Ora – Mullally has been steadily building a solid fan base through a string of strong releases and repurposed pop songs like ‘Wonderful’ and ‘Vows’ while working with celebrated producers like Cool & Dre (Beyonce, Jay-Z), DarkChild (Michael Jackson, Rihanna, Sam Smith) and Two Inch Punch (Sam Smith and Rag n Bone Man). Mullally has also supported Anne-Marie, the UK’s biggest breakthrough act of 2018, Jess Glynne, RAYE and Clean Bandit on his come-up over the last two years.